Size: The usual size of this species is about 20 cm, but it may attain almost 40 cm in diameter. 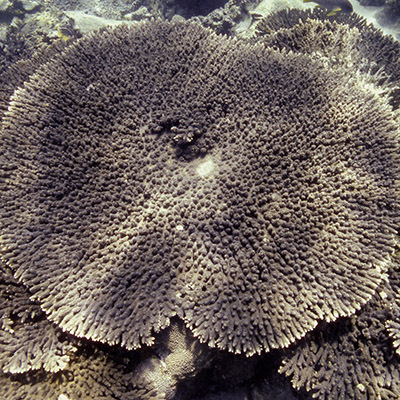 The species is found in coral assemblages, usually at depths of 7 – 15 m. Like other sea stars it exhibits asexual reproduction by regeneration besides sexual reproduction. Embryos hatch into planktonic larvae and later metamorphose into young sea stars with short and stout arms. The species is widely distributed in the Indo-Pacific, ranging from eastern Africa, the Red Sea and the Arabian Gulf, to southern and south-eastern Asia, Japan, Australia and the Hawaiian Islands. Leiaster leachi has not yet been assessed for the IUCN Red List of Threatened Species. 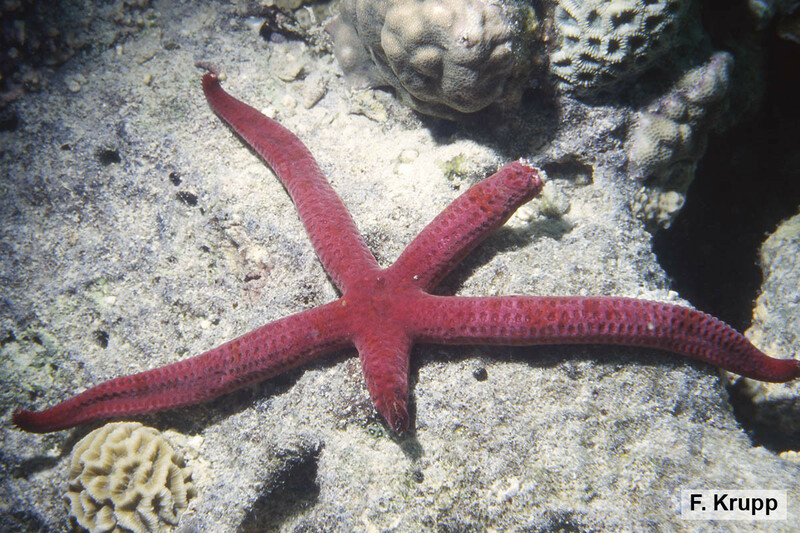 Leach's Sea Star is characterized by a small disc, angular interradial arcs and long, slightly tapering arms, which are cylindrical and sometimes of unequal length. The body is covered with thick, smooth skin, which almost completely obscurs the underlying plates. There are no spines on the body. Coloration varies between variegated orange-yellow and bright red, and sometimes reddish purple.